For over twenty years Simon has produced shows at regional theatres, Edinburgh Fringe, overseas and in the West End. 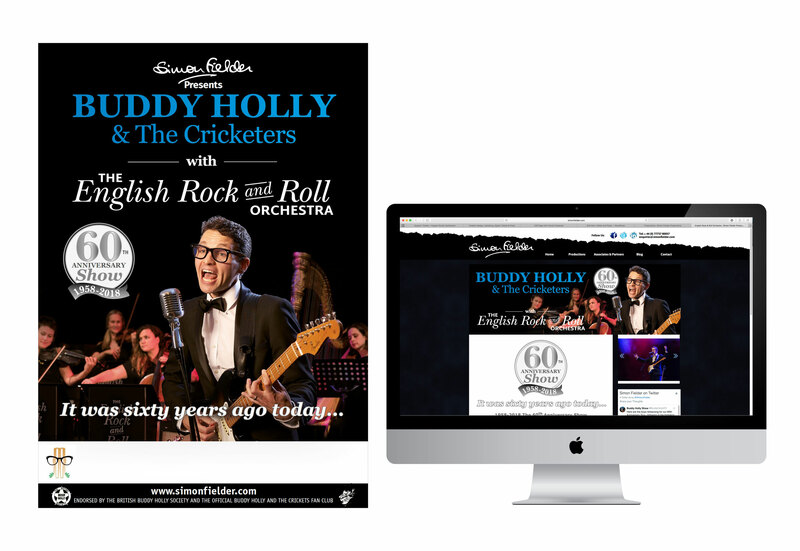 He is enjoying huge acclaim with Buddy Holly & The Cricketers, this year producing a 60th Anniversary Show with The English Rock & Roll Orchestra. 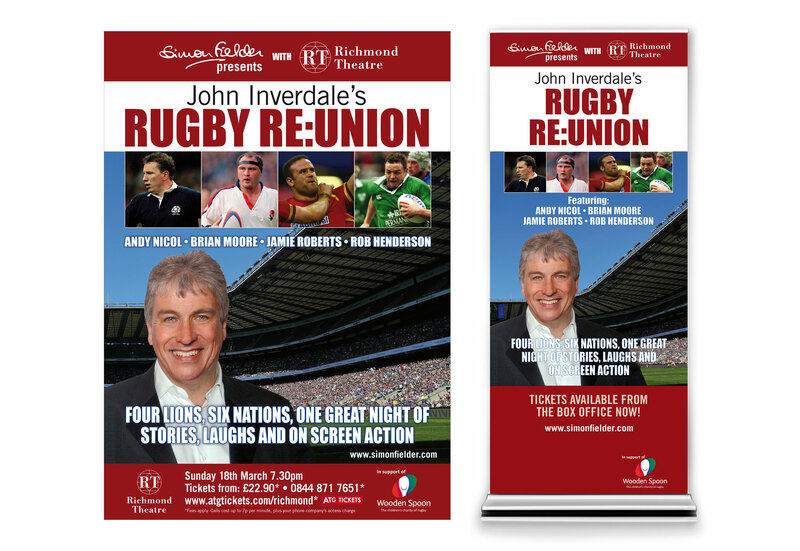 He produces many sports related shows including Boycott & Aggers, Aggers & Tuffers, Aggers & Bumble and soon to appear at the Richmond Theatre Rugby Re:Union with John Inverdale and guests. 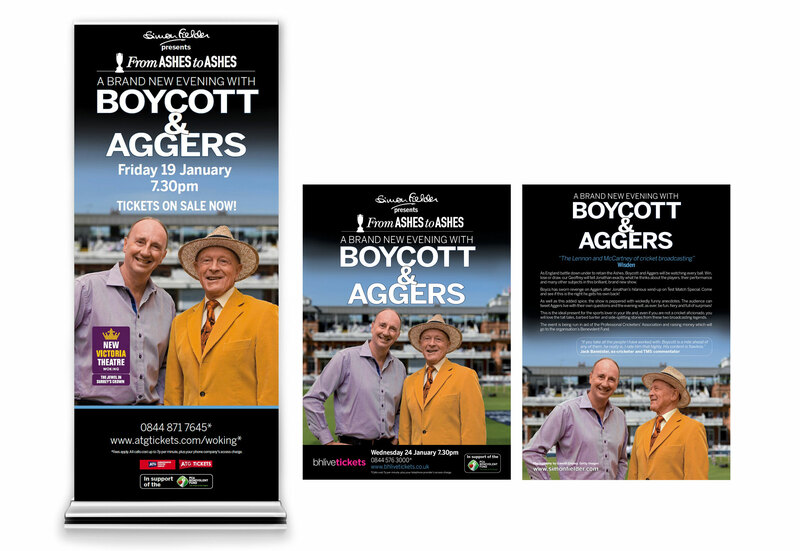 We design and produce all the posters, flyers, press ads, programmes and exhibition displays for the shows, plus web banner ads and in-theatre screens. We maintain Simon’s site simonfielder.com and keep it up-to-date with show dates, news and graphics. 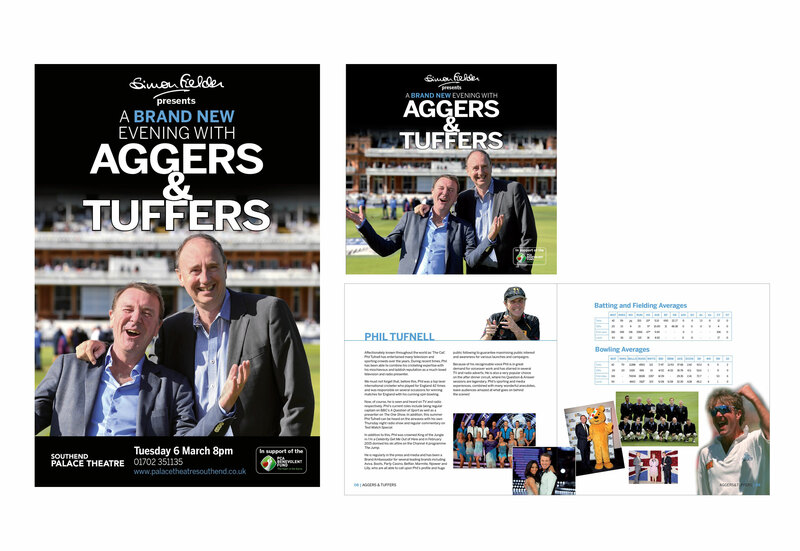 We organise and art direct photographic shoots with the band and sports celebs and retouch all images.